Maryland’s oysters are in trouble. 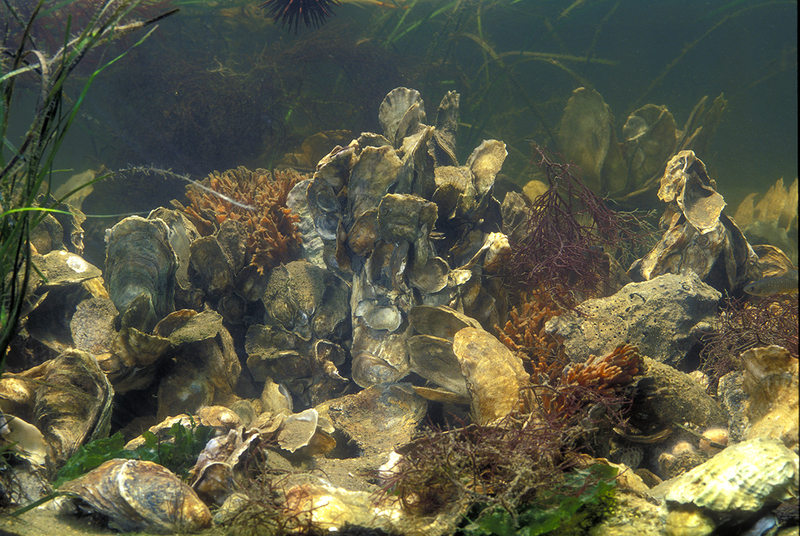 While restoration efforts are working, a recent oyster stock assessment found that Maryland’s oyster population has declined by more than half from around 600 million market size oysters in 1999 to less than 300 million in early 2018. These results mean one thing—our current system of oyster fishery management is not working. Recently, Maryland's General Assembly passed legislation with strong bipartisan support that would take a major step forward in restoring Maryland's oysters, by creating an oyster fishery management plan. This plan would use a scientific model to provide stakeholders with an objective analysis of the impacts of management actions that they propose and implement a facilitated, consensus-based process to provide recommendations to resource managers. But the legislation still needs Governor Hogan's signature. It's time for Maryland to forge a path forward toward a restored Bay, healthy habitat, and vibrant fisheries. Use the form below to tell Governor Hogan how valuable oysters are to our environment, economy, and way of life. Urge him to move oyster restoration efforts forward and support HB720/SB830. Your voice will have the greatest impact if you write to Governor Hogan in your own words. Describe the value of oysters and clean water to you and your community. Above photo by Dave Harp. Your phone number and other fields are required for your letter to be automatically delivered to Governor Hogan. Support Maryland's Oysters - Sign HB720/SB830! I am writing to urge you to sign House Bill 720/Senate Bill 830 which would task the Oyster Advisory Commission with developing consensus-based recommendations for the future of oyster fishery management. Oysters are a cornerstone of the region's economy, environment, and way of life. We cannot allow this critical resource to deteriorate to the point beyond saving. The 2018 stock assessment for oysters indicated that the adult oyster population declined from 600 million oysters to less than 300 million oysters over the past 20 years, and overfishing is occurring in more than 50 percent of Maryland waters. These results mean one thing--our current system of oyster fishery management is not working. It is time for a change. A new process, piloted by scientists at University of Maryland Center for Environmental Science for the Choptank region, provides an alternative to the traditional top down approach to development of fishery management plans. This method uses a scientific model to provide stakeholders with an objective analysis of the impacts of management actions that they propose. Stakeholders used a facilitated, consensus-based process to provide recommendations to resource managers. HB720/SB830 would apply this collaborative method to the develop of Maryland's new oyster fishery management plan. This consensus-based process provides the opportunity for diverse oyster stakeholders to communicate and learn from one another to develop win-win solutions that work for all. It's time for Maryland to forge a path forward toward a restored Bay, healthy habitat, and vibrant fisheries for its most contentiously debated fishery. Please sign this important legislation into law.